Thermodynamics deals with energy levels and energy transfers between states of matter, and is therefore fundamental to all branches of science. This new edition provides an accessible introduction to the subject, specifically tailored to the interests of Earth and environmental science students. Beginning at an elementary level, the first four chapters explain all necessary concepts via a simple graphical approach. 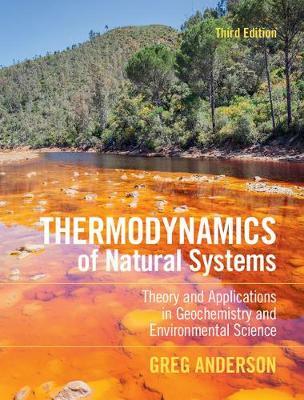 Throughout the rest of the book, the author emphasizes the importance of field observations and demonstrates that, despite being derived from idealized circumstances, thermodynamics is crucial to understanding ore formation, acid mine drainage, and other real-world geochemical and geophysical problems. Exercises now follow each chapter, with answers provided at the end of the book. An associated website includes extra chapters and password-protected answers to additional problems. This textbook is ideal for undergraduate and graduate students studying geochemistry and environmental science.